Intuitive eating is other wise known as mindful eating. It is a helpful practice if you struggle with binge eating and disordered eating. Intuitive eating means that you can eat and not fear the food. 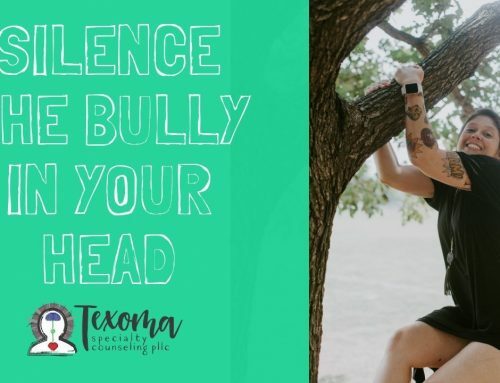 It helps you gain confidence in yourself because you can learn to trust your decisions about choosing and eating foods. Intuitive eating does not ask you to count calories or macros. You are not expected to worry about the nutritional components of the food you are eating, and you do not need to worry about your body after eating. Essentially it allows you to just eat and to eat whatever you want. It assumes you can and do control yourself while eating. Now for someone with an eating disorder trusting yourself with eating is a very scary concept. You have felt out of control to this point. You have fear and anxiety regarding different foods. However intuitive eating helps you learn to eat for real life. It is a way to teach yourself to be in control of the food you are eating. So here is how intuitive eating works. You want to be in the moment and relaxed and eating. Our emotions control our behavior and sometimes we use food to distract and cope with emotions. Rather than eating to avoid feeling depressed, stressed, and worried, you eat to fuel your body. Pay attention to your body and eat when you are hungry. Trust your body, it knows when it is time to eat. If you have anorexia or bulimia you may not trust your body to notify you of this cue. Overtime this will improve. Your body will alert you when it is time to eat. Eliminate any distractions while eating. Turn off your TV, cell phone, music, etc. Eat in a comfortable place where you feel safe. Savor the flavor of the food. Food is good and enjoyable, so allow yourself to enjoy the food. Slow down when eating. Take your time and pace yourself. Eating is not a sprint. Try putting your fork or food down between each bite. Slowing down helps the body communicate with the brain that you may be satisfied and full. This will help you learn to trust yourself to control yourself while eating. 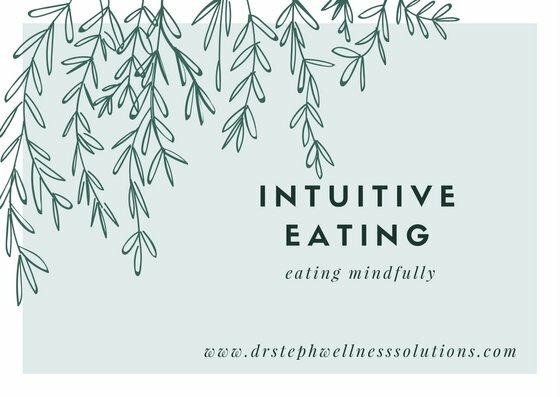 Intuitive eating is a skill that takes practice and time to learn to master, but hopefully these little tips will help you be more mindful while eating. If you find this information helpful please share. Eating disorders and intuitive eating are very complex issues that cannot be addressed in a 5-minute video. Feel free to ask questions and comment. Perhaps there is something I can help clarify for you.